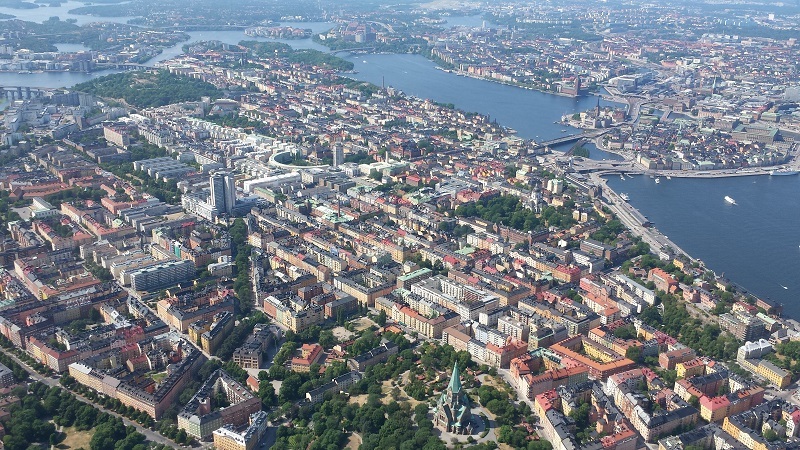 Tonight was the final in Eurovision Song Contest 2016. I didn’t watch it, and I haven’t for years – but when I was a kid my family would always watch it together. Then it was a one-evening event with a lot of fun rooting for my own country. But with semi-finals and lots of media talk I've grown tired of it and lost interest in the contest all together. Well, this is supposed to be a Disney comics blog. I just wanted to show two Eurovision covers we had in Sweden and Norway. 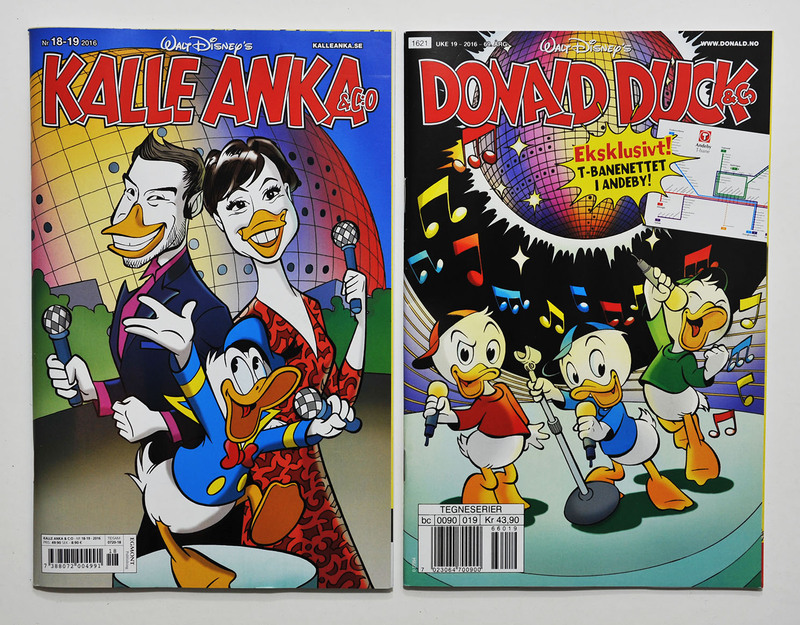 The Swedish one is a parody of the two hosts Måns Zelmerlöw and Petra Mede, while the Norwegian one is a more generic looking cover with Huey, Dewey and Louie. 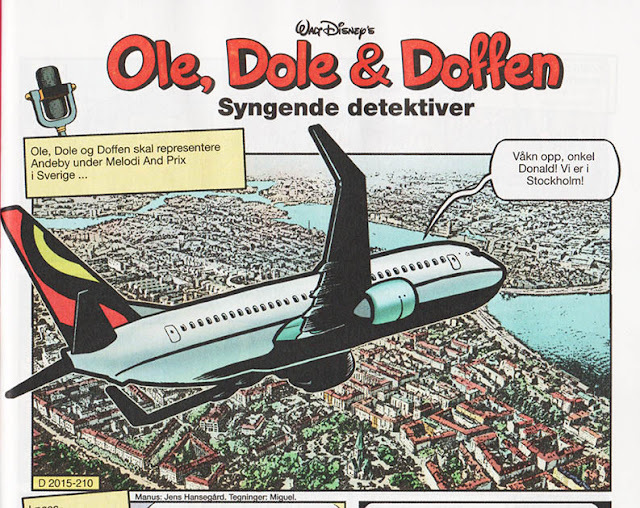 Inside we have a story taking place in Stockholm and the Ericsson Globe, where Huey, Dewey and Louie are going to represent Duckburg in the contest. Looks like that is the image that was used, and it probably went through some Photoshop filters. How long did you search for the picture?